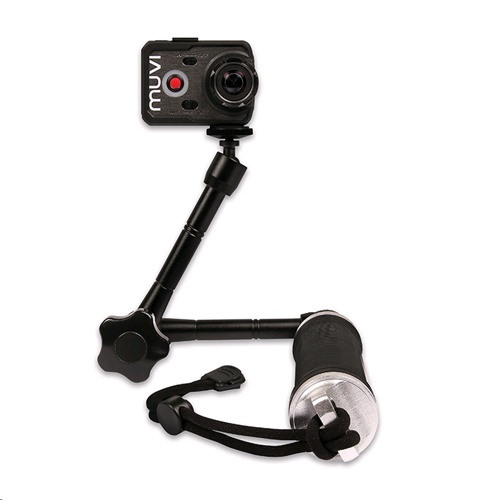 Disconnect the camera grip from the foldable arm, and the handle doubles as a lightweight mini camera grip. 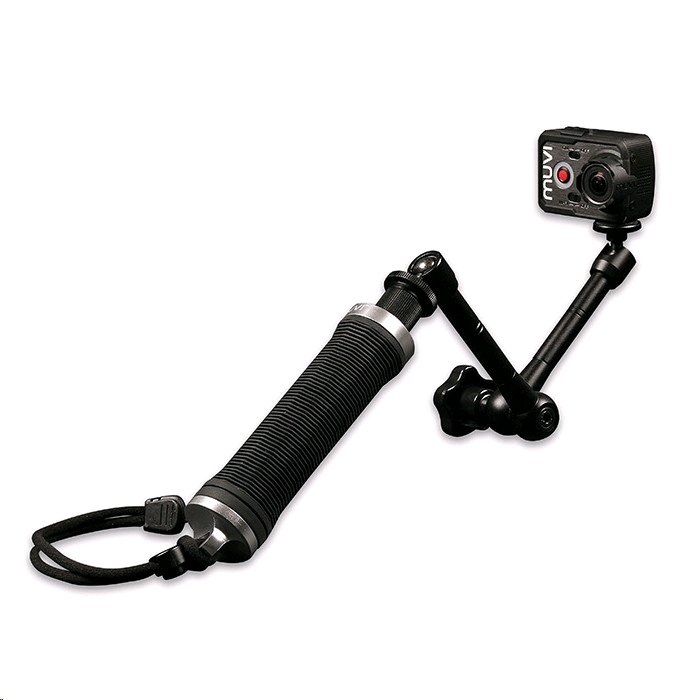 The hand grip also has a wrist lanyard and alloy screw cap storage chamber in the handle too*. 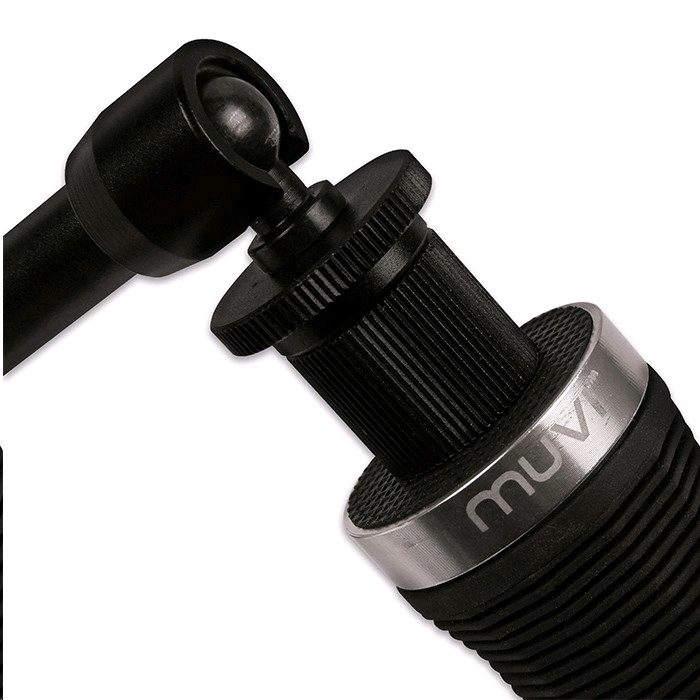 The Muvi 3-Way mount is water compatible, so it’s perfect for using when surfing or any other water based sports. *Please note that the storage chamber isn’t waterproof once closed.